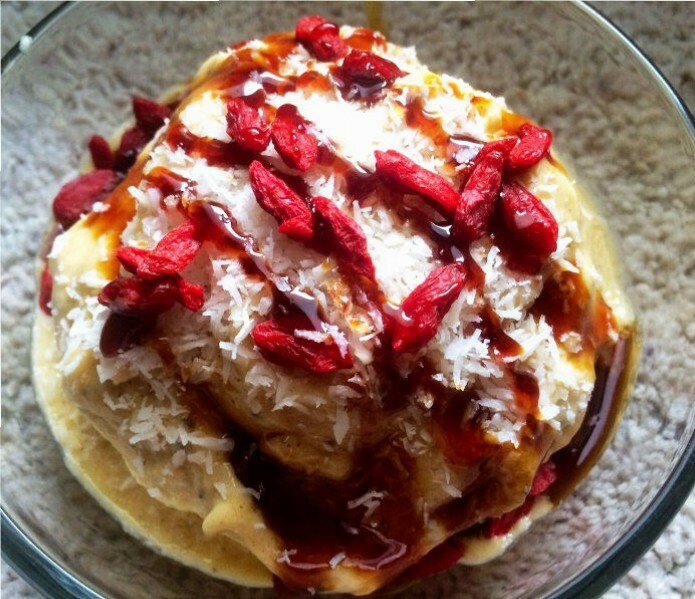 More fresh, raw vegan, simple and easy ice creams, made with only 4 ingredients! 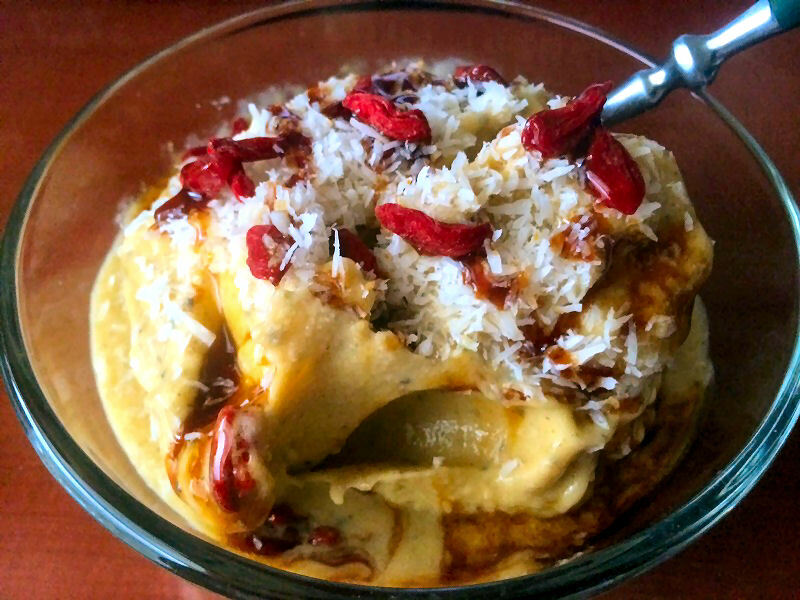 This can also be made into a smoothie bowl as well as ice cream. You can eat this as a breakfast, lunch, snack or dinner, because, it’s all raw, all natural, and all healthy! The addition of chia seeds makes this a full meal, gives you energy and fills you up! Put all the ingredients into your high-powered blender, and blend on high. You may have to stop the blender at times to scrape the sides, making sure everything is full blended. Once the mixture is blended, put into a bowl. If you want to use a raw vegan date sauce, add the dates into the blender and add warm water, blending until you reach a desired consistency. More water = a thinner sauce, and less water = thicker sauce. You can also add vanilla, carob or cocoa powder if you wish! 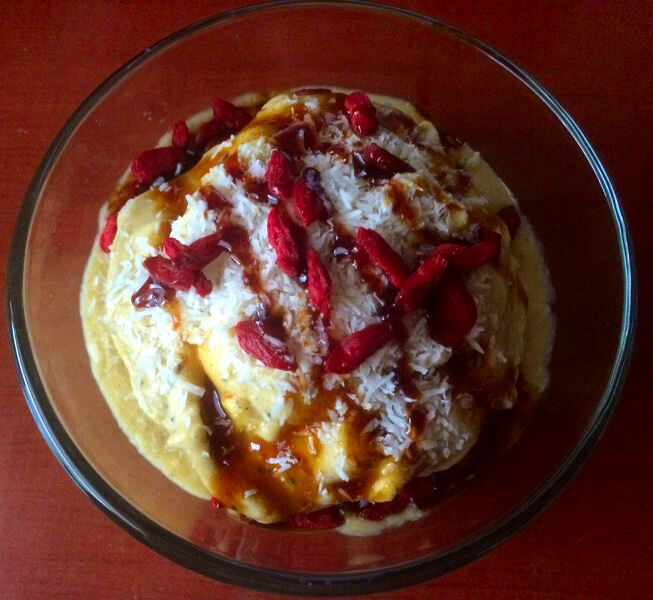 Put into a bowl, top with shredded coconut, goji berries, fresh berries and date sauce, then eat! This is such a refreshing, delicious, and simple recipe. Try it!